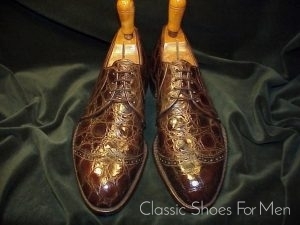 SOLD to Mr. J. C., Kuala Lumpur. 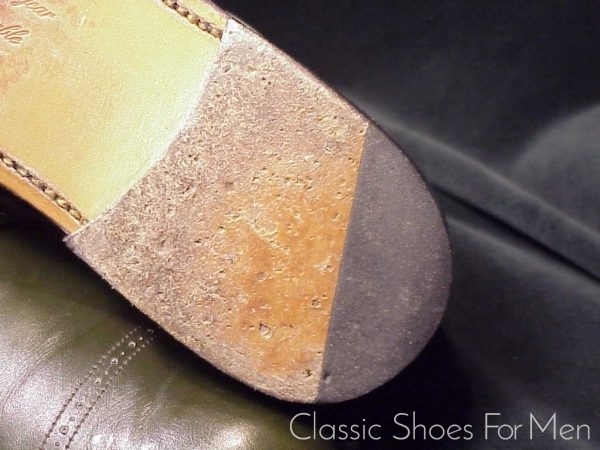 Most French branded shoes are made in Italy, Portugal or Spain and most are Blake or Rapid Stitched (if not worse!). 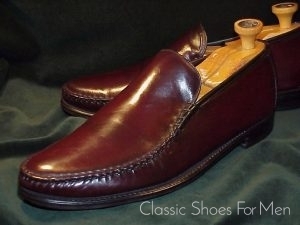 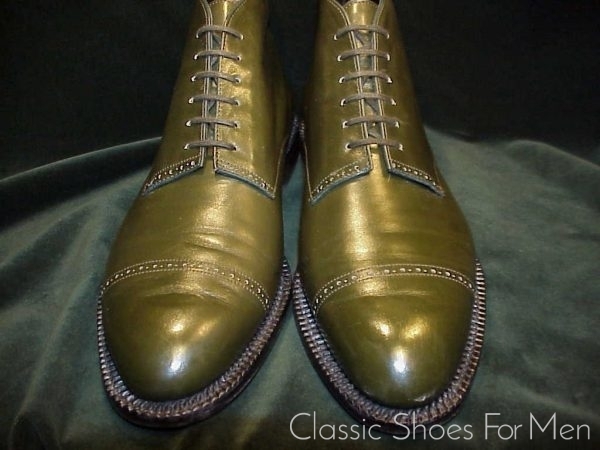 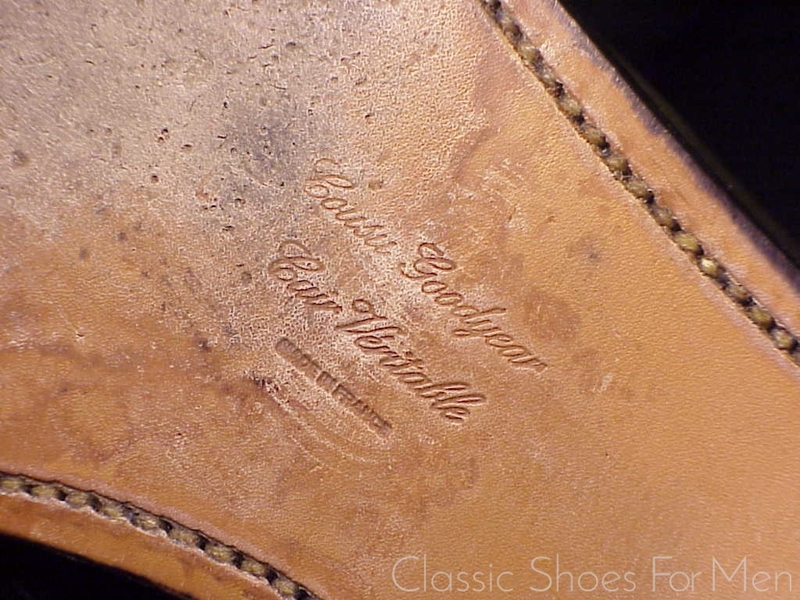 This shoe is distinguished from the lot by being a true French product and properly made. 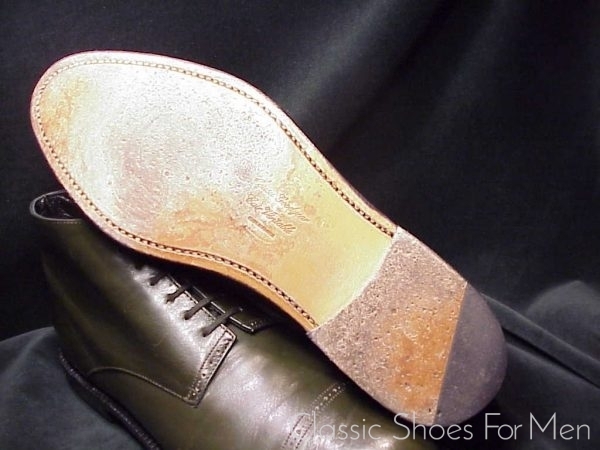 In short, we have a high quality, Goodyear Welted, French-made jobber shoe for rebranding in one of Paris’ high end boutiques like Balibaris, Royalcheese, or Ami, or one of the traditional Grand Magasins like Printemps or Galeries Lafayette. 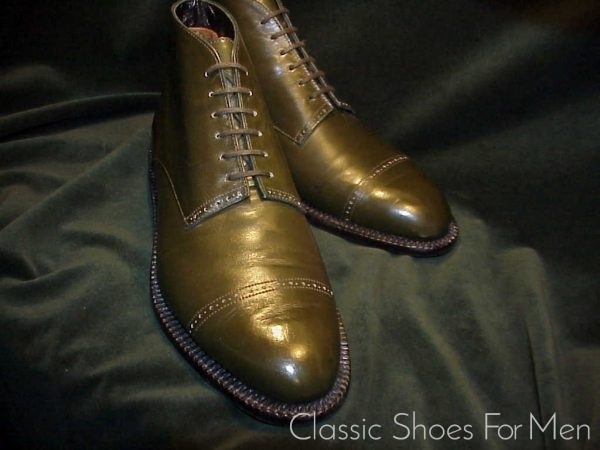 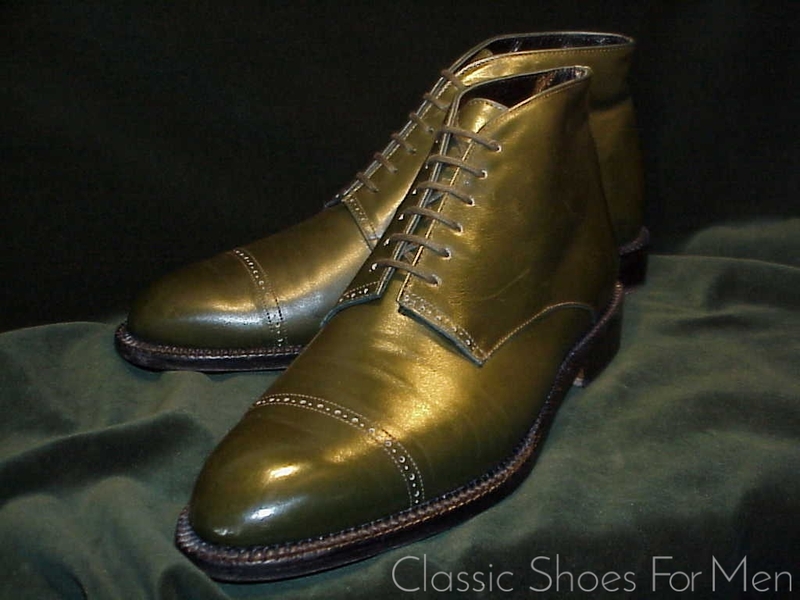 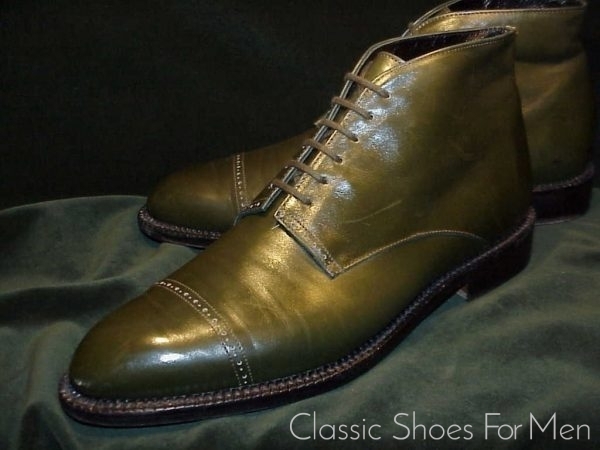 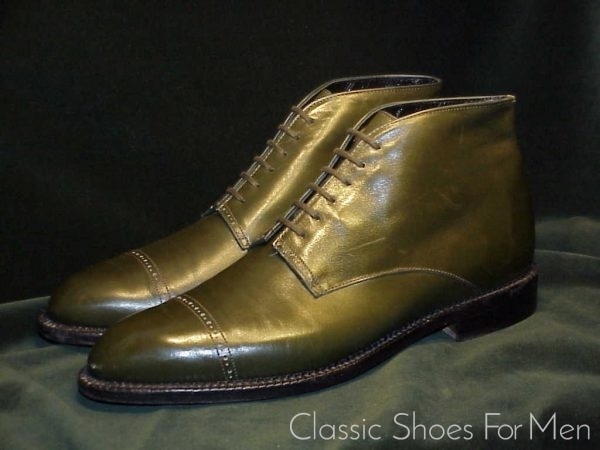 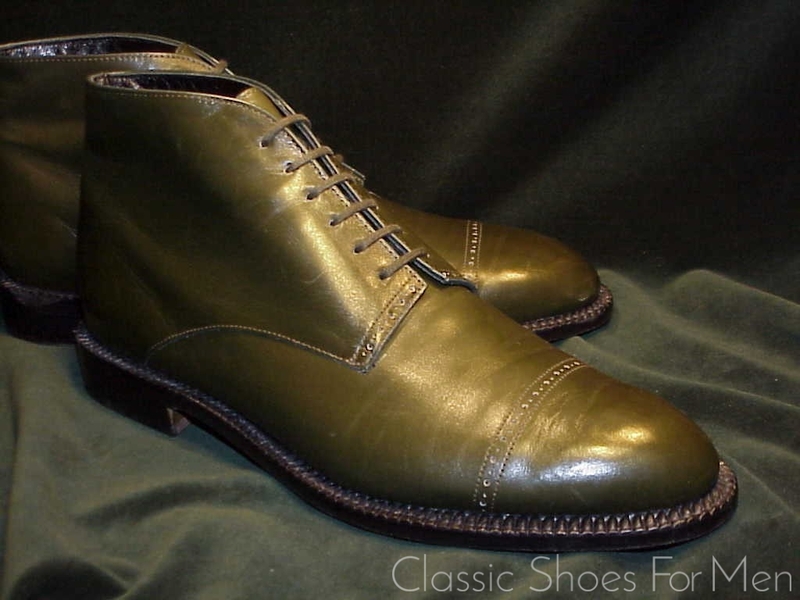 This elegant 6-eyelet, high-cut Derby or Chukka boot is executed in lovely deep olive green boxcalf, promising a charming contrast to your casual, country or sporting dress. 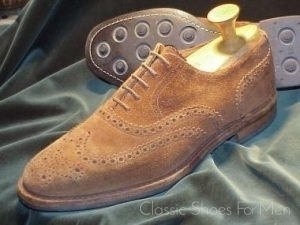 Picture it with khakis, tweeds or any earth-tone trousers; add a little colour without transgressing boundaries. by my measurements, correct for 41-41.D….US 8-8.5D….UK 7-7.5E, for the medium width foot. 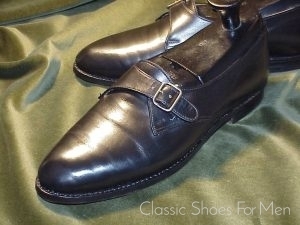 Near new, perhaps worn two or three times only.